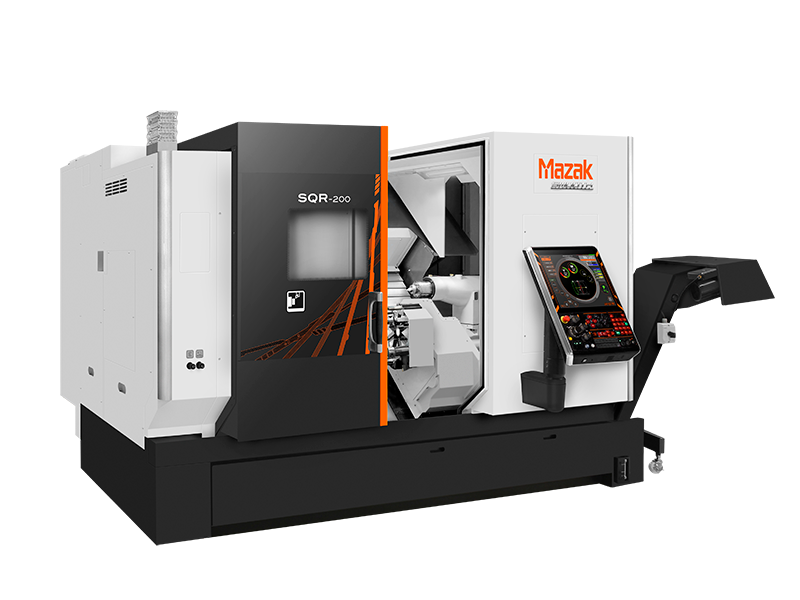 A powerful single-spindle, two-turret CNC turning center, the SQR 200 offers 4-axis Multi-Tasking machining. Simultaneous cutting with upper and lower turrets, such as O.D. and I.D. operations or O.D. and drilling, enables faster cycle times and balanced cutting. These highly efficient machines also increase throughput for mass production applications of longer shaft work or chucked work.